If you’re only watching the CBS episodes, you’re missing half of the real show that is taking place on the 24/7 live feeds. Monday night was one of the most heated nights in Big Brother history as almost all houseguests were involved in one fight or another. 10:10pm – The fights began around 10pm as Russell and Chima were discussing Michele in the HOH room. The houseguests had to pull Russell and Chima away from each other as the fight became more and more aggressive. If you have the live feeds, use the Flashback feature to rewind to August 3rd at 10:10pm on Cameras 1 and 2. If you don’t have the live feeds, sign up here for a 3-day free trial and watch the most memorable fights in Big Brother history. If you want a preview, check out the fight video here (warning: foul language). 11:10pm –Kevin was fed up with Ronnie’s “lies” and those two got into a heated argument on cameras 1 and 2 if you use the Flashback feature on the live feeds. Kevin was called to the Diary Room, possibly because Big Brother wanted him to cool down. 11:25pm – About 10 minutes later, Chima was so disgusted with Russell that she proceeded to throw a glass of water in Russell’s face. Big Brother asked her not to do this, but she did it anyways. Watch it using Flashback on the live feeds at 11:25pm on cameras 1 and 2. So to recap, if you don’t have the live feeds, you’re missing a LOT of the action that they can’t show you on TV! 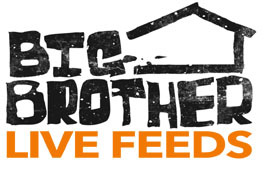 The live feeds are uncensored and show you the events that will never make it to air! Start your 3-day free trial today right here. After that, pay $39.99 for the rest of the Big Brother season.